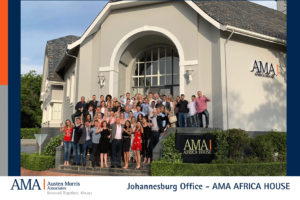 AMA Africa are very proud and pleased to announce the naming of their premises in Johannesburg, South Africa. Over the past 24 months the company has grown from a modest 200sqm to over 700sqm, employing over 50 staff members and 15 qualified International Consultants. 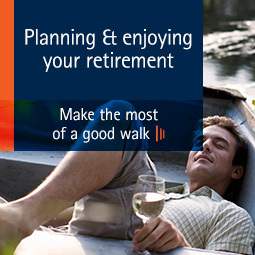 Over this time the office has also established strategic relationships with Werksmans, Livewell, Sanlam Private Wealth, 1.618 Financial Services, Brooks Macdonald, VDMA Attorneys, Sasfin, Hogan Lovells, and Caleo to name but a few. This is mainly due to the superb key leadership of Philip Morris (Director), Mr. Ian Edwards (Partner), the staff that have already been located here for 6 years and of course the excellent team of consultants and staff members that have been employed over the past 24 months. AMA Africa are always on the look out to recruit the top 20% of people within the industry, whether employed in an administrative role or as a dynamic, driven consultant looking for their final place of work. Austen Morris Associates Global is now approaching it’s 25th year in business and has a fantastic pedigree and reputation. If you are considering a move to a new company whether that be in the International Arena or with AMA Africa we would be delighted to hear from you.